I stayed only one night. But the staff was really friendly, helpful and also really chatty. 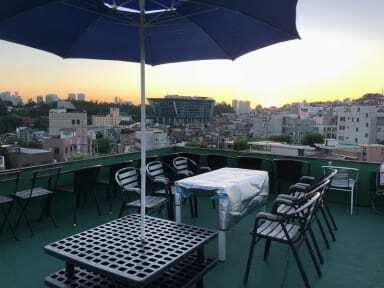 It's a clean and cosy place which is ~8 minutes away from Itaewon party area. Would stay again!